This post contains affiliate links, which means if you purchase a product using my link, I'll receive a small commission at no additional cost to you. Thank you for supporting me! Divi is the ultimate WordPress web design tool. Divi is a powerful, flexible WordPress theme created by Elegant Themes. Essentially, it’s a framework that allows you to piece together pages seamlessly using a drag + drop page building tool. It’s super user-friendly, intuitive features are making this become one of the top WordPress themes out there. Quick Fact: Divi is one of the main tools I use for my web design business. Although Divi is ideal for web designers, there is an opportunity for non-coders to design a professional website. If you are in search for an all-in-one, affordable WordPress theme for your creative business website, Divi may be right for you. 1. Explore endless design possibilities. With most WordPress themes, what you see is what you get in terms of the layout and structure for your website. But with Divi, your layout options are aren’t restricted. You can individually design your pages (and posts) with any layout you want. The Divi Builder replaces your standard WordPress editor with Divi Builder – an incredibly user-friendly, flexible page editor offering tons of layout options + design elements so you can easily build your website. 2. Use on any WordPress project. Beginner with no coding experience. Blogger with little knowledge in HTML and CSS. Web Designer offering professional web design services. Web Developers with expert knowledge in advanced code. Divi welcomes all levels of coding experience. It has helped people from new entrepreneurs who are setting up their website for the first time to expert web designers who are designing websites for professional brands. It will take your WordPress web design project to the next level. 3. Customize with your own brand. By default, Divi is a blank template with options to embed your logo, brand colors, fonts + more. You can edit these features within the Divi Theme Options and Divi Theme Customizer, and turn your blank canvas into a well-branded website for your business. 4. Design your own blog. With Divi, you can design a custom blog page to display your blog feed in a unique, creative way. This is possible with The Blog Module – one of many modules included in the Divi Builder. Add this module to your blog page (or any page) and your posts will automatically be displayed. 5. Design your own lead captures. Another popular feature in the Divi Builder is the Email Optin Module, which connects your email provider to a custom designed sign up form. This optin module works with popular email providers, such as Mailchimp, ConvertKit, Infusionsoft, Aweber + more. Design custom layouts based on screen sizes. This is handy if you want your website to look a certain way on desktop and another on your tablet or mobile device. It’s important that you provide your readers with an user-friendly mobile experience. 7. Create your own layout library. The Divi Library allows you to create your own library of layouts and elements. This will help save you time and curate a collection of branded layouts as you build your business website. 8. Browse Divi child themes. 9. Expand Divi to fit your growing business. Use your Divi theme with an e-commerce site or membership portal. With the Divi theme, you’ll have a secure, yet flexible foundation for your website that can be modified to fit all of your website needs as your business grows. 10. Join the Divi community. 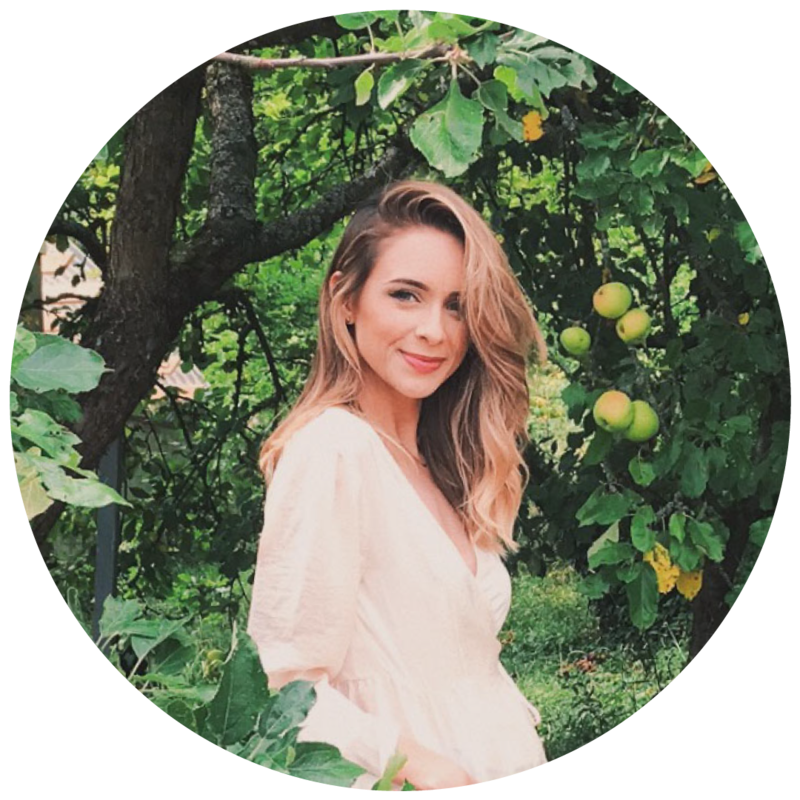 The Divi community is filled with people of all backgrounds + experience levels. Not only do you have the Elegant Themes Support Team by your side, but there are thousands of members spread across Facebook groups, blogs and websites that are true #DiviEnthusiasts. From what I’ve seen, there is always someone who is willing to lend their advice + expertise if you get stuck or have a question. The Divi theme will be the only WordPress theme you’ll ever need. Based on my own experience, it’s the best web design tool for any WordPress users. 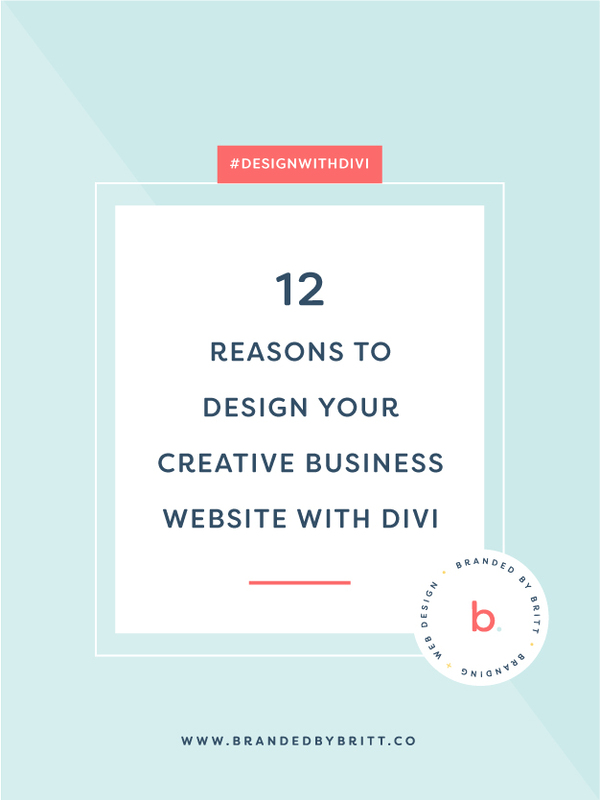 Divi can help you create a beautiful, professional website that helps grow your business and personal brand online. Try it out for free. Hi, I'm Britt! I'm a branding + website designer based in Austin, Texas. I help creative professionals grow their personal brand online. Friends don't let friends have bad websites. Let's be friends. 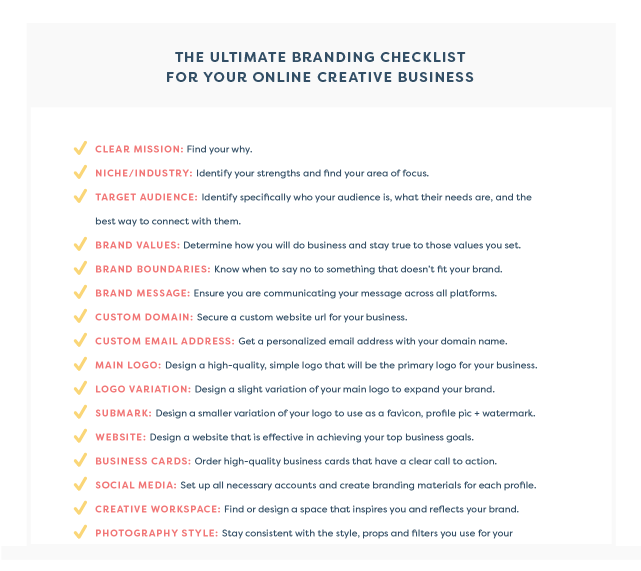 A list of everything you need to establish a brand for your creative business. 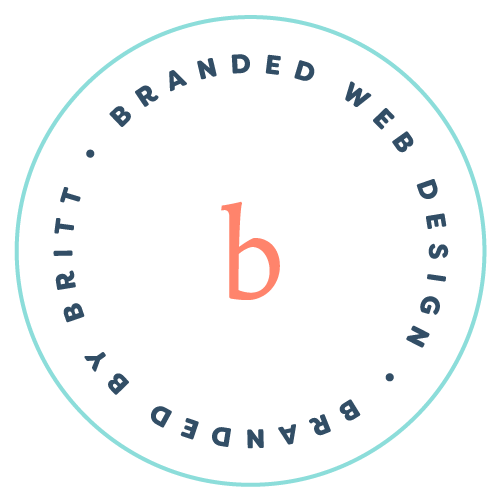 Branded by Britt is a design studio for creative professionals and bloggers. Read More. Enter your name and email address to receive your checklist in your inbox. And don't miss out on any future updates!